No matter your situation, we have a team with the insight and expertise to put your business on the path to success. 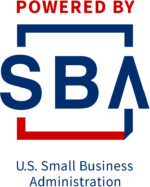 Through the Small Business Development Center (SBDC), entrepreneurs receive, at no cost, confidential, one-on-one counseling regarding the essentials for growth and success. This includes marketing and industry research, customer profiling, competitive analysis, developing and deriving feedback from budgets, utilizing financial statements as decision making tools, evaluating financing options based on specific needs, understanding the negotiating process to ensure beneficial deals and much more. Thinking of starting a business? CLICK HERE for information and resources that will get you off and running. Already in business? CLICK HERE to find out how the Great Falls Development Authority and our regional Small Business Development Center can help you with your next step. Funded in part through a cooperative agreement with the U.S. Small Business Administration. All opinions, conclusions or recommendations expressed are those of the author(s) and do not necessarily reflect the views of the SBA. Reasonable accommodations for persons with disabilities will be made if requested at least two weeks in advance. Contact Jason Nitschke, P.O. Box 949, Great Falls MT 59403, 406-771-9022.